Ullman DynamicsNewsThe world’s fastest e-boat. PERFORMANCE ON WATER. EXTREME DYNAMICS. FULL CONTROL. SAY yachts have unique hulls made from pure carbon fibre. 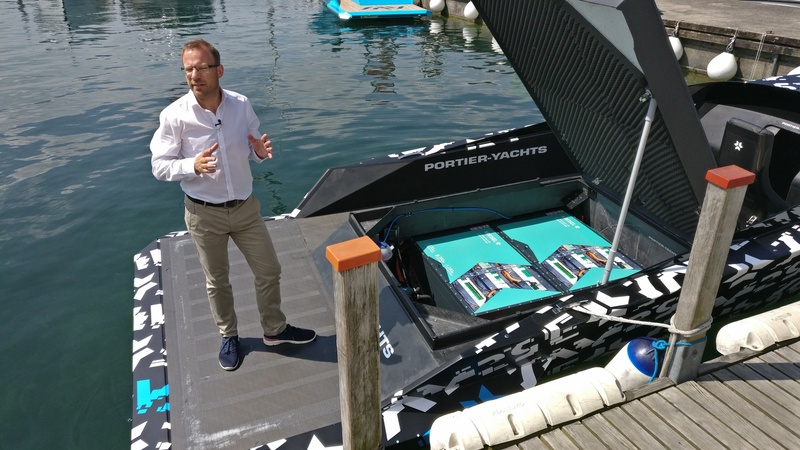 Our leading-edge lightweight carbon technology, which extends beyond the hull and is used on many equipment details, as well, minimises the weight our high-tech engines have to propel, pushing the weight-per-hp ratio below 3 kilogrammes in some cases. The result is an acceleration performance you normally see in racing only. The SAY carbon composite hull with the unique, steep-angled ‘wave cutter’ contour literally cuts through the water while the side wings (SAY 29 & 42) ensure maximum stability and precise steering at extreme curve speeds. Thanks to the exceptionally slippery surface of our ultralight hulls, these yachts reach top speeds of up to 60 kn (roughly equivalent to 108 km/h). Apart from this outstanding performance, the SAY lightweight construction offers an additional benefit: A low weight extends the fuel range while lowering fuel consumption. The world’s fastest e-boat. Reaching a top speed of 48 knots (89 km/h), the SAY29 E is currently unequalled. The propulsion technology is from Kreisel Electric, Europe’s most innovative developer of e-mobility solutions. Kreisel’s technology achieves a peak output of 360 kW – at pleasantly low noise levels, and with a more than adequate fuel range. Made of pure carbon composite, its hull weighs as little as 400 kilograms. Combined with the propulsion system by Kreisel, this low weight ensures impressive, jerk-free acceleration. Every detail of the SAY29 E is optimised for speed and agility, and all components are perfectly matched. The custom design, the typical ‘wave cutter’ bow and the side wings of the ultra-lightweight carbon hull ensure maximum stability while enabling incredible curve speeds. The hull guarantees astonishingly easy handling, even in waves. 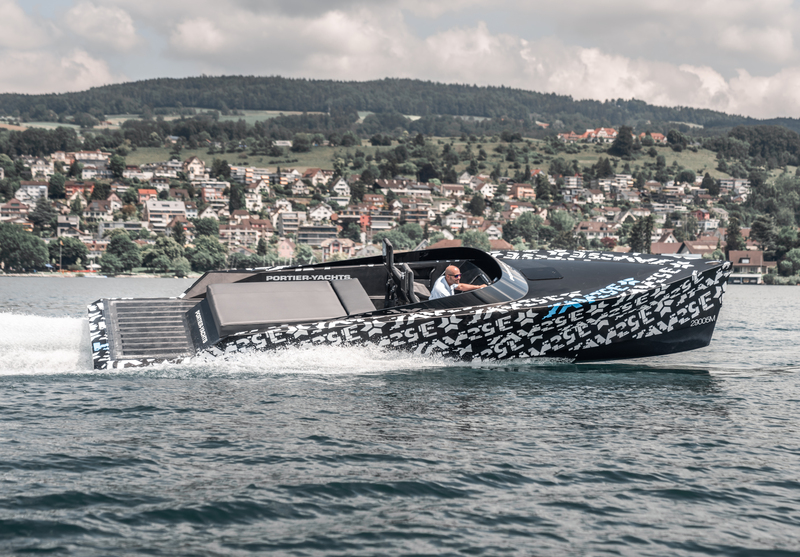 The SAY29E Runabout Carbon set a new speed record in the class of 8-10 meter long production boats (UIM World Speed “Certificate “Electric Powered Production Boats from 8-10m”) during the IONICA in Zell am See. 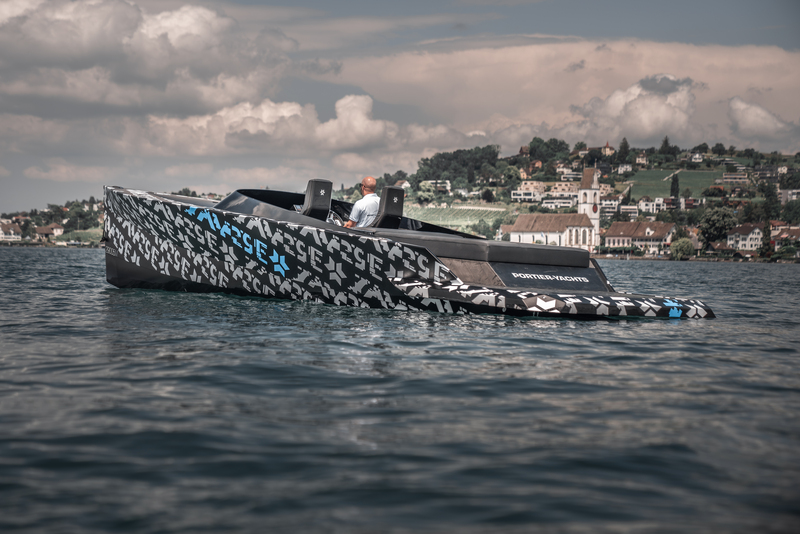 According to the strict rules of the UIM (Union International de Motornautic in Monaco) the driver had to control his SAY29E Runabout Carbon by two buoys attached to the beginning and end of the test track. Two high-speed cameras recorded all six runs and set the start and finish times. The individual images were disassembled and the time superimposed, so that the UIM determined an exact measurement result with four digits after the comma. And in each case in both directions. in Run 3.1, the top speed was 95.0 km/h, in average with run 3.2 then the world record at 89km/h was documented, but provisionally confirmed for the time being. Ing. Karl Wagner CEO of SAY Yachts showing the propulsion technology is from Kreisel Electric, which achieves a peak output of 360 kW – at pleasantly low noise levels, and with a more than adequate fuel range. The Say 29E is fitted with Carbon Daytona Seats.